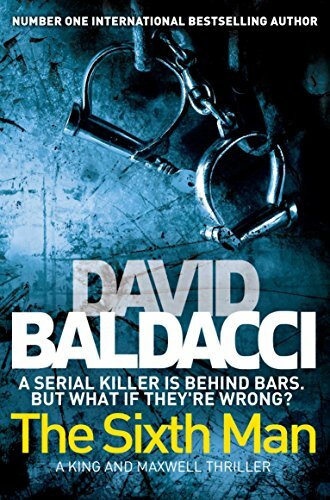 by David Baldacci | Mystery & Thrillers | This book has not been rated. When alleged serial killer Edgar Roy is locked away in Cutter's Rock psychiatric unit, private investigators Sean King and Michelle Maxwell are called in by Roy’s lawyer, Ted Bergin, to examine the case further. But the investigation is derailed before it begins when Bergin is found murdered in his car on the highway. An enjoyable read at the time but as I read it a bit back & can't remember much about the story, it obviously wasn't a memorable one! Congratulations - You've found a travelling book ! Here at BookCrossing we're trying to give books their own unique history by keeping a running log of all the places they've been and what their readers think of them. You can help us to track this book's travels by taking a moment to make a journal entry - let us know where you found it, what you thought of it or where it's going next - write as much or as little as you like! You can remain anonymous or why not join us? If you decide to join us you will receive an alert every time someone new journals the book, helping you to follow it's travels as it meets new readers.